Former staff member, Keri Dodge left South Africa with a bang by hosting an end of the year worship night for the youth in Mbonisweni. Ten Thousand Homes has poured into this specific group of young people all year, believing that Hope and Home grows out of discipleship. We had a tremendous and Spirit-filled night of celebrating the fruits of discipleship, relationship and God’s love for these youth! Keri served a feast and planned an entire night of speaking Truth into every young life present. Together, we prayed for each person and acknowledged the ways God has worked in their lives. Praises rose and worship was unstoppable for an entire evening. It is amazing how God unveils more of Himself as we look back at His movement in our lives. The end of the year is a perfect time to reflect and celebrate God’s faithfulness, as we celebrate His faithfulness in sending His Son to earth for us. It is our Christmas gift from God that we have complete access to Him and His presence in our daily lives. As you prepare for the holiday season, take a few moments to remember the events of the year. Write just one sentence about each month, and ask God to reveal Himself there. 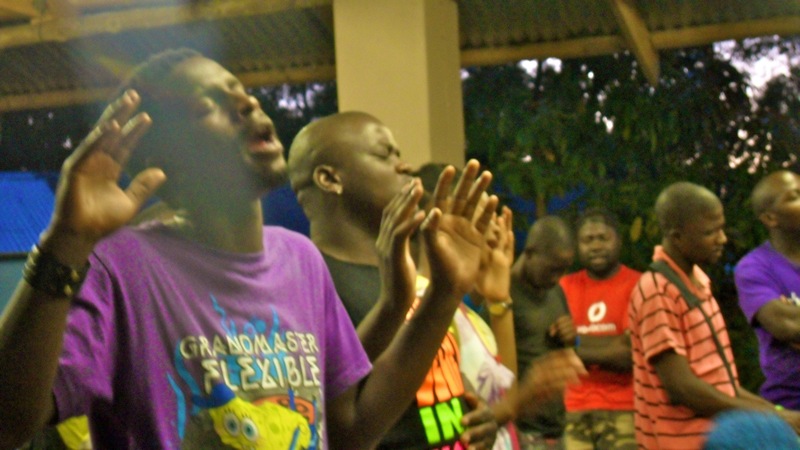 As you remember your year, remember the youth in Mbonisweni and the mighty ways God has moved in their lives. Pray for more discipleship moments and that these young people will be able to see God’s hand moving in their lives.